Lee Osborne returns to Slinky with this exciting, innovative new single. 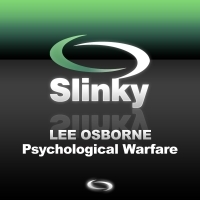 'Psychological Warfare' twists, bends and contorts you mind through Osborne's own unique take on full-throttle tech-trance. Lay aside the propaganda and listen with your own ears. 'Psychological Warfare' is available now from Beatport and iTunes.